Raise your hand if you spend wayyyy too much time applying mascara to get longer, fuller lashes. Yeah, thought so. If you want to save yourself some time in the morning, you might be the perfect candidate for a lash lift. It’s exactly what the name suggests. The in-salon treatment leaves your lashes lifted and curled without the need for a lash curler. And the best part? You get instant results with very little maintenance. “A lash lift really helps open the eyes, making you look bright-eyed and alert,” says Jaimineey Patel, head of training at BBB London. The lifted effect also brings out the full length of every individual lash, making them look instantly longer. The treatment will set you back $80 to $150 depending on your provider, but it should last for up to six weeks. Think of it like a perm but for your eyelashes. The same way a hairstylist would set your hair around different size barrels (depending on the curl size you want) and coat it with a perming solution to lock in the shape, a lash specialist curls your lashes over a silicone rod then paints the hairs with a lifting solution. “Every treatment should start with a consultation to determine what kind of lash style you’re looking to achieve,” says Patel. “Based on your answers, the therapist will then pick a suitable curling rod size to shape the lashes.” This means the amount of curl is totally customizable. What about upkeep? Can I still wear mascara? If you’ve ever seen Legally Blonde, then you know that “the first cardinal rule of perm maintenance is that you’re forbidden to wet your hair for at least 24 hours after getting a perm at the risk of deactivating the ammonium thioglycolate.” Well, the same holds true for lash lifts. Avoid getting your lashes wet (or applying mascara) during the first 24 hours so they can set their shape. After a day, it’s back to your regularly scheduled programming. No need to worry about getting your eyelashes wet or wearing mascara. 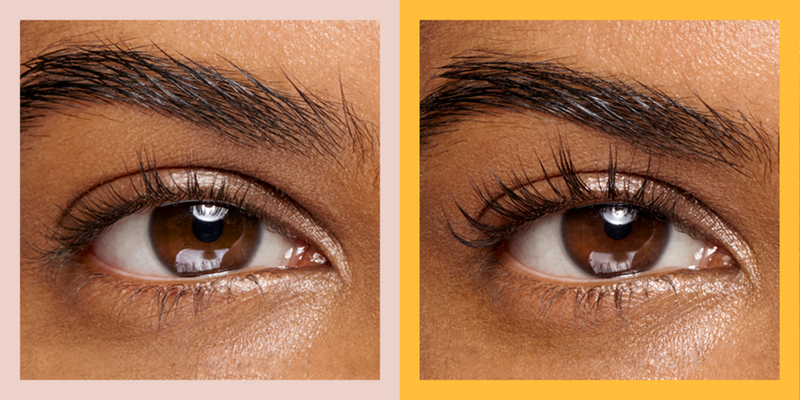 To keep your lashes as healthy as possible, Patel tells her clients to give their lashes a break in between any lash treatment (including tinting and extensions) to maintain the strength. She also recommends applying a nightly lash oil with nourishing ingredients like castor, jojoba, and rosemary oil to promote lash growth. Anytime you’re using chemicals near your eyes, there is a risk of allergic reaction, says Jacqueline R. Carrasco, MD, an oculoplastic surgeon at Wills Eye Hospital in Philadelphia. You could also be at risk for dermatitis, a skin condition that causes redness, swelling, and even blisters, especially if the lifting solution gets in your eye or on the surrounding skin. To make sure you’re in good hands, look for a technician who also specializes in treatments around the eyes (like lash extensions, tinting, or brow shaping). And if you’re prone to allergic reactions from beauty products or have a sensitivity to certain ingredients, it’s always a good idea to ask for a patch test.